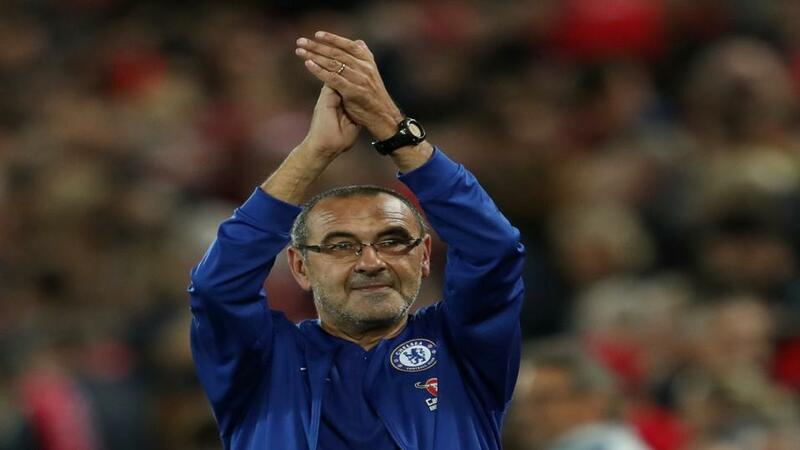 Will Maurizio Sarri be applauding his Chelsea team after their match with Wolves? Can Chelsea beat struggling Wolves? Opta reveals all. "Wolves have lost seven of their eight Premier League games against Chelsea, winning only in January 2011 at Molineux (1-0)." Chelsea are [1.87] to win. Wolves have lost seven of their eight Premier League games against Chelsea, winning only in January 2011 at Molineux (1-0). Chelsea are [1.87] to win. Chelsea have scored at least twice in all seven of their Premier League victories against Wolves, netting 23 goals in total. Over 2.5 goals is [1.93]. Chelsea have won their last four meetings with Wolves in all competitions by an aggregate score of 13-1. They are [3.0] to win half-time/full-time. Chelsea have lost just one of their last 13 away league games against promoted sides (W10 D2), though it was in their last such match against Newcastle last season. A Wolves win is [5.0]. Wolves have already lost six of their 14 Premier League games this season, just one short of their total defeats in the entirety of their Championship winning campaign in 2017-18 (seven in 46 games). The draw half-time/Chelsea full-time double result is [5.0]. Chelsea - who lost their last away league game against Spurs - are looking to avoid back-to-back away defeats in the Premier League for the first time since March. Wolves are [3.6] Draw No Bet. Wolves have lost their last three Premier League games at Molineux, last losing four on the bounce on home soil in league competition in November 2016. Chelsea are [3.25] to win to nil. Wolves' last seven home goals in the Premier League have all been scored after half-time - their last first half goal came on the opening weekend against Everton (Ruben Neves). Both teams to score is [1.87]. Only Raheem Sterling (14) has been directly involved in more Premier League goals this season than Chelsea's Eden Hazard (12 - 7 goals, 5 assists). Hazard is [2.4] to score. Chelsea's Pedro has scored more league goals in 12 appearances this season (5) than he netted in 31 league matches in the whole of 2017-18 (4). Pedro is [3.6] to find the net.